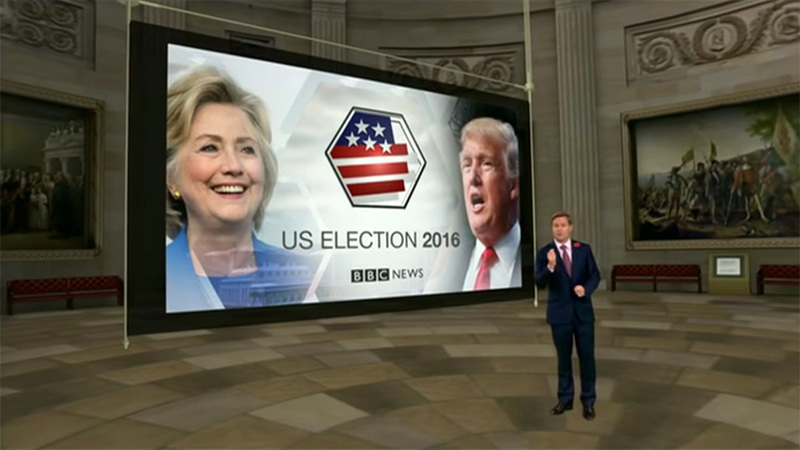 To help the international audience better understand the idea of swing states, a state in the U.S. where both political parties have similar levels of support, BBC News went to its virtual toolbox. 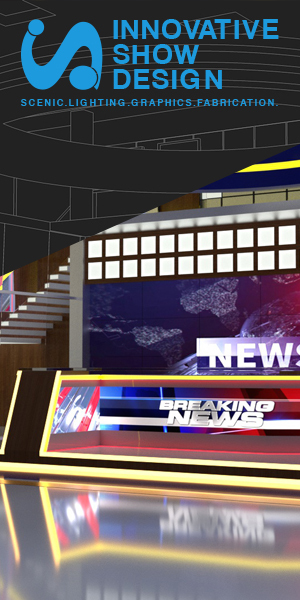 Powered by Vizrt’s Viz Virtual Studio, Christian Fraser interacts with graphics and data points in the virtual Capitol building. The scene recreates the rotunda, with its historical paintings and statues, while allowing Fraser to walk around freely in the space. BBC News is no stranger to virtual, using it heavily for the United Kingdom’s elections last May and during the coverage of Brexit this summer. While recreating a real world location can be tricky, this example does a good job combining textures, imagery and 3D with the talent and floating monitor.